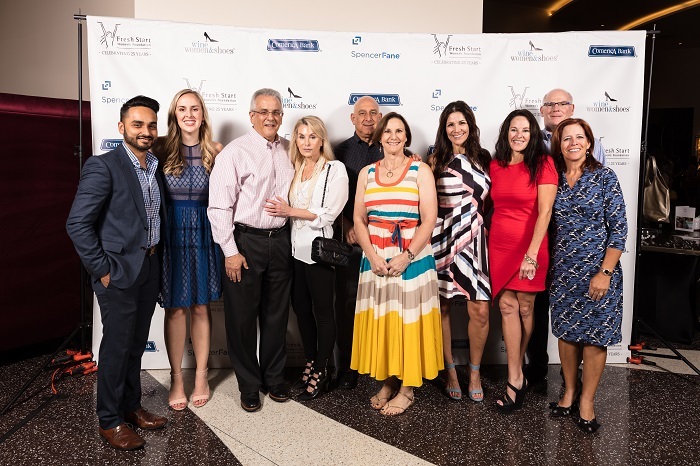 As an Auxiliary Board member of Fresh Start Women’s Foundation, Spencer Fane attorney Jessica Gale co-chaired the organization’s inaugural Wine Women and Shoes Phoenix fundraiser. On stage at the sold-out event, Jessica spoke to over 400 members of the Phoenix business community, helping raise $151,000 for the foundation. Fresh Start Women’s Foundation provides education, resources, and support for women to positively transform their lives and strengthen the Phoenix community. The organization helps women 18 and up focus on key areas of their lives, with a wide range of services, classes, and workshops designed to teach self-confidence, life skills, and career development. In her commercial litigation practice, Jessica Gale works with business owners and in-house counsel to find cost-effective strategies to further their business goals. She adeptly handles an array of legal issues for her clients, including contract breaches, partnership disputes, business torts, and fiduciary duty allegations.